The sixth in a new series of definitive dissertations dealing with the feats of humankind. 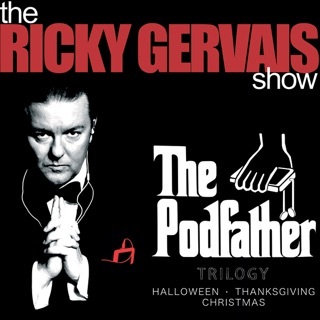 Join Ricky Gervais, Steve Merchant and Karl Pilkington as they probe the nature of human society. In this episode: Athenian democracy and arboreal investments; Karl on road safety; President Pilkington's pronouncements; Malthusian musings; Karl's adoption agency; the ins and outs of organ donation; social injustice on the busses; morality and entomology; Karl's Luddite attitude to plate sanitation; euthanized ensifera; social orthodoxy at the orthodontist's; and splenetic etiquette. I love these guys and I'm always excited when a new "audiobook" is released. This one just wasn't as funny as the others. Still great to hear Ricky's insane laughter at Carl's absurd comments though. This is some of the best comedy in the world today. The only shame is that we have to wait so long between the episodes! Funny, but not as funny as the first set of "Guides to...."